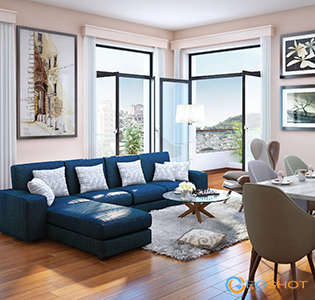 We are specialized in developing Interior Renderings using Furniture and Home Decor of your choice including proper arrangement of all furniture in the room. We are modelors, designers, animators and art directors, who work as a team with zeal and passion to give shape to your imagination. We are using very high end software for producing 3D renderings, also we have very skilled and experienced team for this work thus you can easily rely on us for effective business association. We provide highly detailed and precise furniture renderings, custom built to meet your expectations at your desired price. Our skilled staffs are capable of adding lighting, interactive features, programming, moving parts and much more. 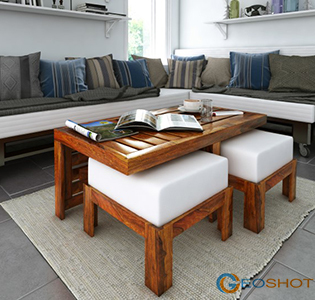 ▸ 360 degree panorama view : This feature allow user to rotate the furniture using the mouse on website. ▸ 360 degree video: In this, the video will play and rotate 360 degree without interference of user. Addition of real people as well as animated people can be done on the furniture in lifestyle image and video both. 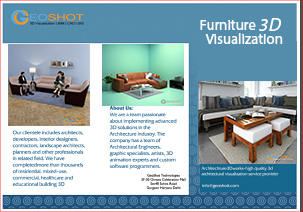 Short Video and Gifs of Furniture can be done by using animation technology and 3D model people / real people can be added. 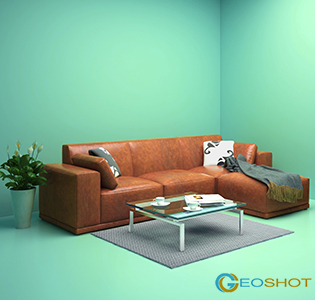 ▸ Augmented Reality: User can place a virtual furniture item or accessory in a room and get a sense of how well it will fit or look in the space. ▸ Virtual Reality: User need to add this functionality in mobile app & have to wear VR goggles such as Oculus, Gear etc, then the user can see and move around the furniture feeling like he is standing near the furniture and walking around. ◈ Short Video/ Animation with People.